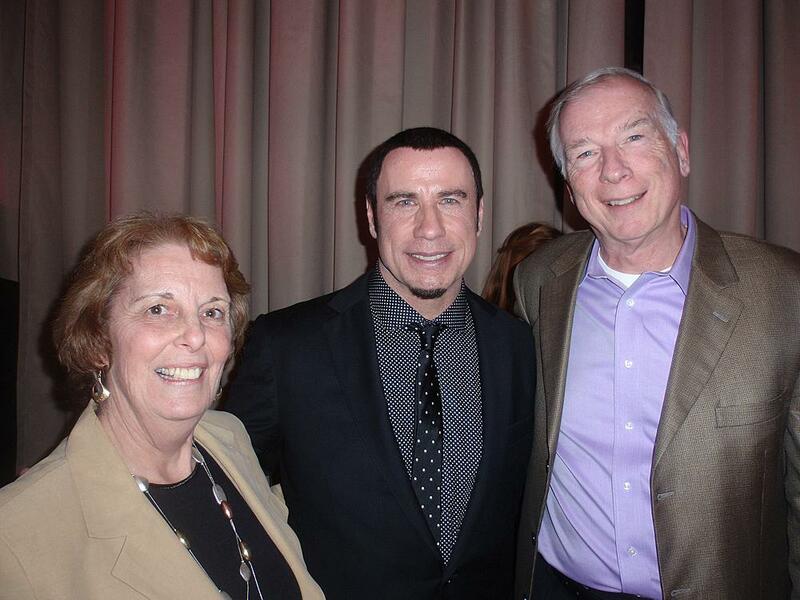 On Saturday November 10, 2012 Jim & Diane went to the Maryland Institute College of Art to see an Open Conversation with John Travolta and John Waters. 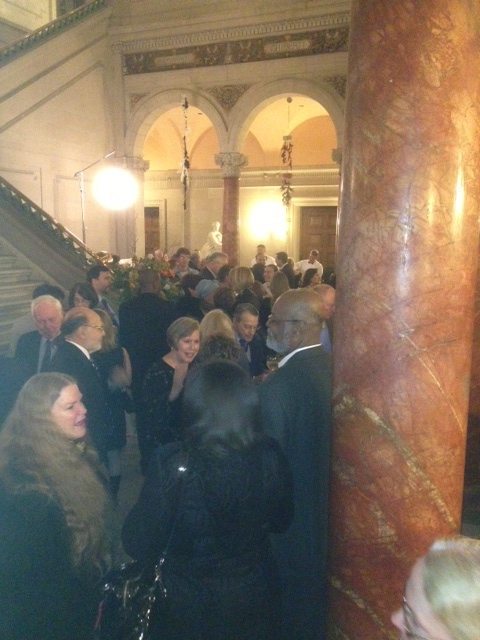 the lobby prior to the "Conversation". The program started with a short movie with clips of most of John's movies! 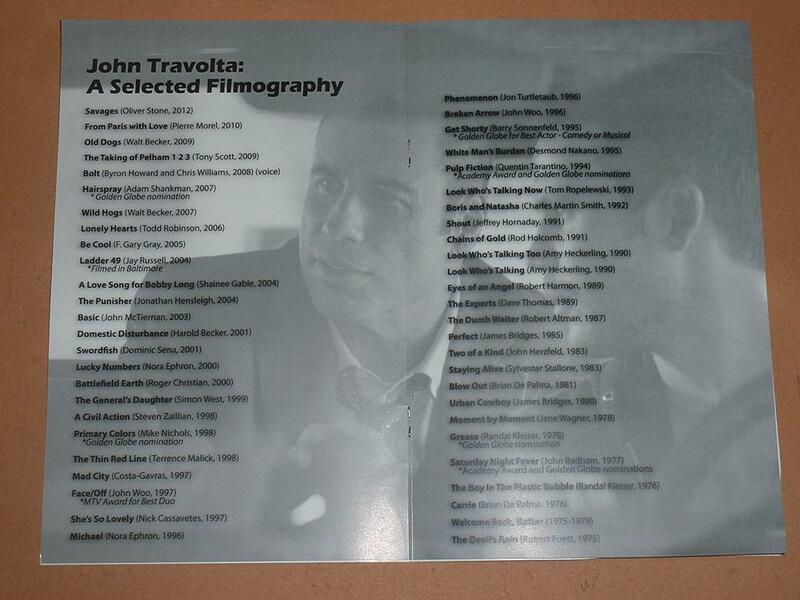 Below is a list of John Travolta's movies. He has played an amazing range of characters! 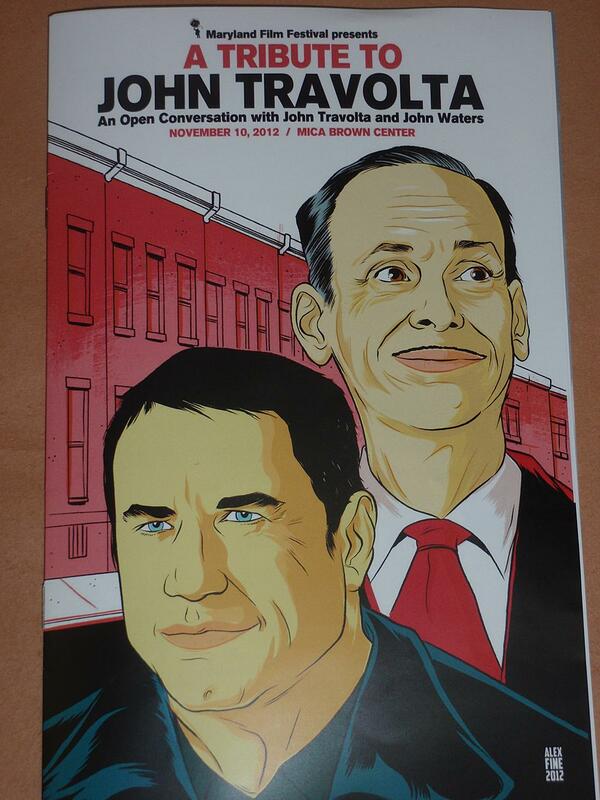 After the movie the two Johns had their 45 minute conversation. 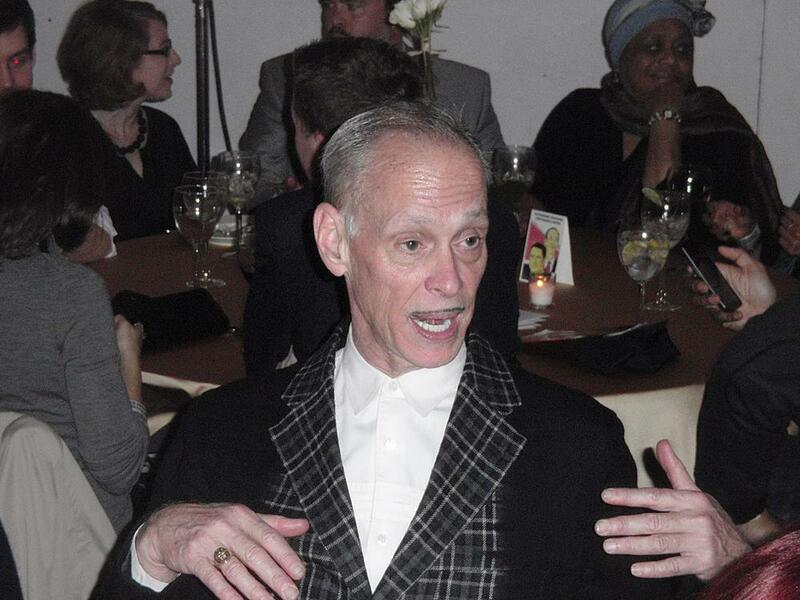 It was like an interview with Waters being the interviewer. After the conversation, they took questions from the audience. After "The Conversation" there was a dinner. We were lucky enough to be very close to the main table, to see all of the action. 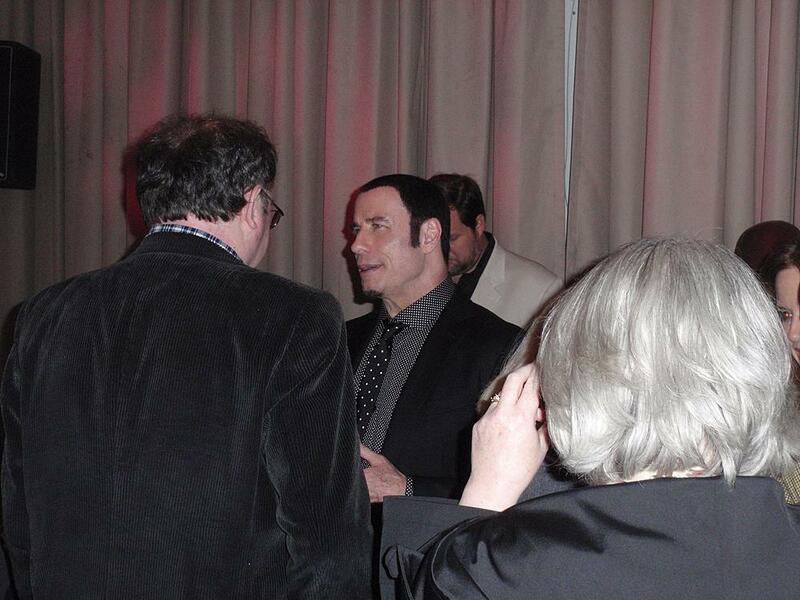 The two Johns have a private conversation. 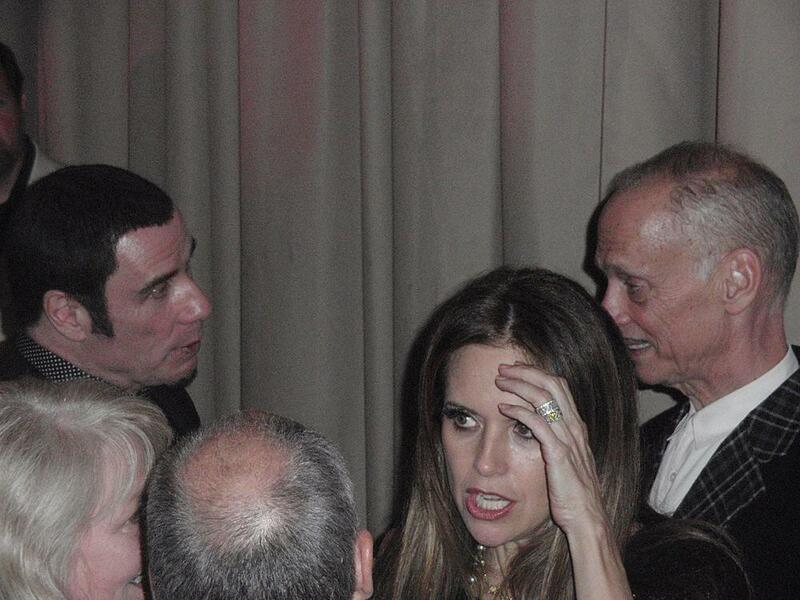 Looks like John Travolta's wife, Kelly Preston, is getting a headache? 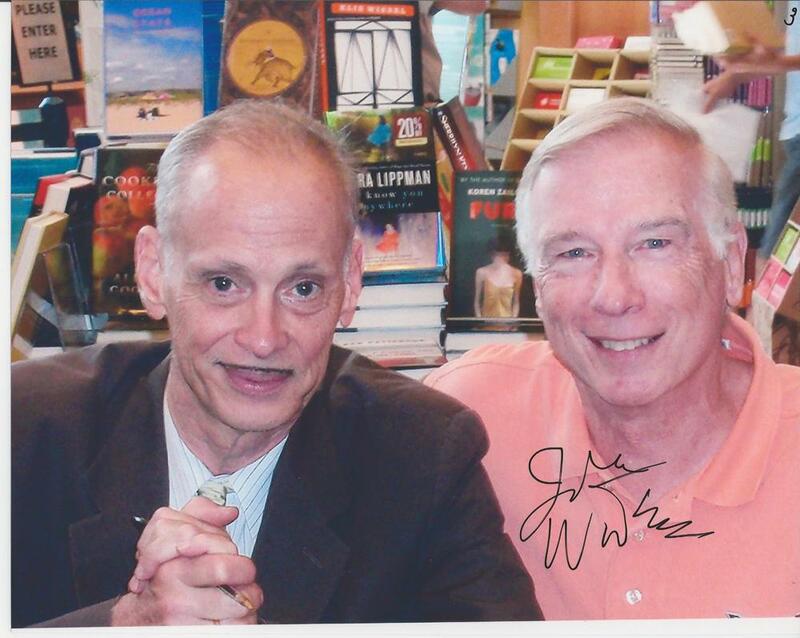 John Waters is quite the story teller! 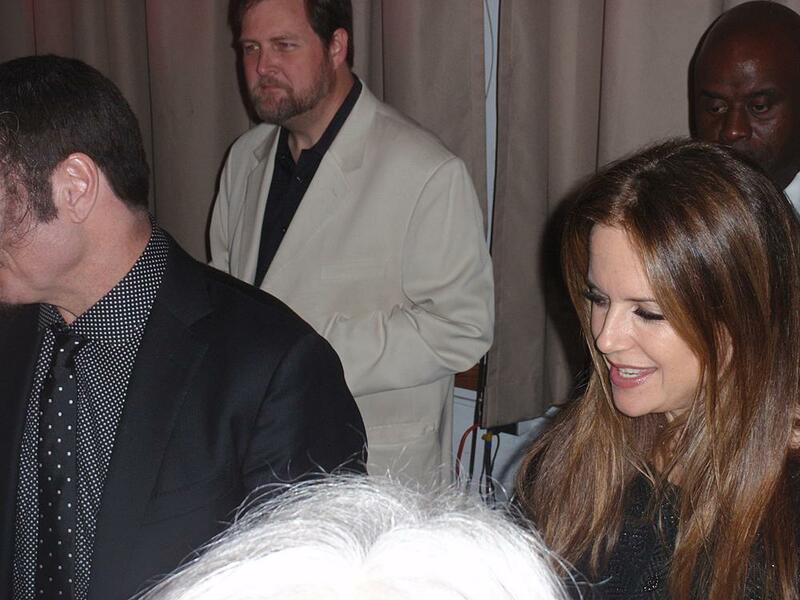 I had John autograph the picture of us from an earlier event.